Property and casualty insurance is a product that protects people’s assets in various ways. Property insurance pays for the repair or replacement of a policyholder’s property, and casualty insurance is designed to indemnify an insured for claims of negligence where the insured becomes legally liable to pay damages to another person. The property and casualty insurance industry are known for providing great insurance jobs that can lead to a long and rewarding career. You can select from many different claims adjuster jobs within either property or casualty insurance. Property insurance coverage is often described as a “first party” coverage because, in a contract situation, there are often only two people or entities that enter the contractual agreement. When one owes something to the other by way of a contract, it is known as a first party obligation. The “property” side of the property and casualty equation considers all owned property, but it most often refers to real estate property. It also encompasses automobiles, as well as business and personal property, which might include anything that can be owned by a person other than autos or real estate. Examples of personal property would include household items like furniture and clothing, and in the business world that could mean office equipment, tools, machinery or stock. Claims adjuster jobs that require the coverage analysis and settlement of property insurance claims require someone who is well versed in property insurance coverage, but they must also be able to assess the cost of damages. Most often, property adjusters will focus on either automobile or real estate property-type claims. On the automobile side, there are auto appraisers who specialize in estimating repair costs to damaged vehicles and those appraisers sometimes specialize even further and handle only heavy trucks and equipment. Claims adjuster jobs with a focus on real estate and personal property often only require the handling of those types of claims, and you may find that some specialize in only personal or residential property losses and others will only handle losses to commercial properties. Property insurance claims adjuster jobs and the earning potential for a property adjuster are sometimes dependent on the volume of claims received, which is more common for a property adjuster or auto appraiser, but in other cases, the pay is based on a yearly or hourly rate. Casualty insurance encompasses a wide range of claims, and it primarily involves third-party protection to a named insured. “Third-party” generally refers to the claims of a party that is not included in the original contract agreement or insurance policy. In this scenario, there is an insurance company, the policyholder, and a third party, who is often referred to as a claimant. This claimant is asserting a claim against the policyholder and the insurance company will indemnify that policyholder under a liability contract or insurance policy. Casualty claims result from auto accidents, accidents on a property or construction site, and workplace accidents that result in workers compensation claims. 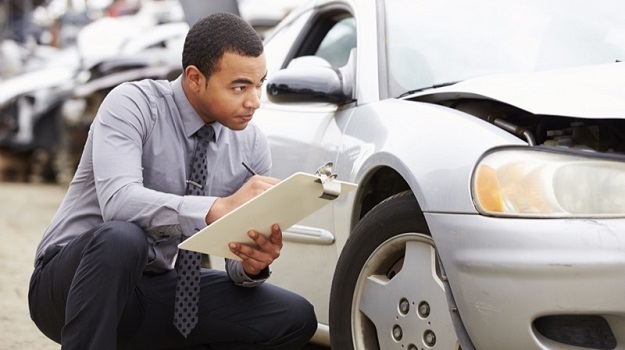 A casualty insurance adjuster must be an investigator of sorts, as it is their job to assess the facts of an incident and they must be able to communicate that to claims decision-makers within an insurance company. This may include one or more attorneys who must determine the most reasonable course of defence in the event of litigation against an insured. A firm understanding of medical terminology is also important for casualty insurance claims adjuster jobs because they will need to assess a person’s injury in order to determine and verify the monetary value of the claim. Finally, casualty claims adjuster jobs require a working knowledge of tort law, which is the law that applies to legal wrongs that one person may commit against another. This will include common law, statutory law and case law that is often specific to each state. The role of insurance claims adjuster jobs in the property and casualty insurance business is extremely important. When a claim is made, the insurer must react in accordance with the terms of its policy and it is the job of the insurance claims adjuster to ensure that this is carried out properly.